Please select lot quantity from the drop down menu. 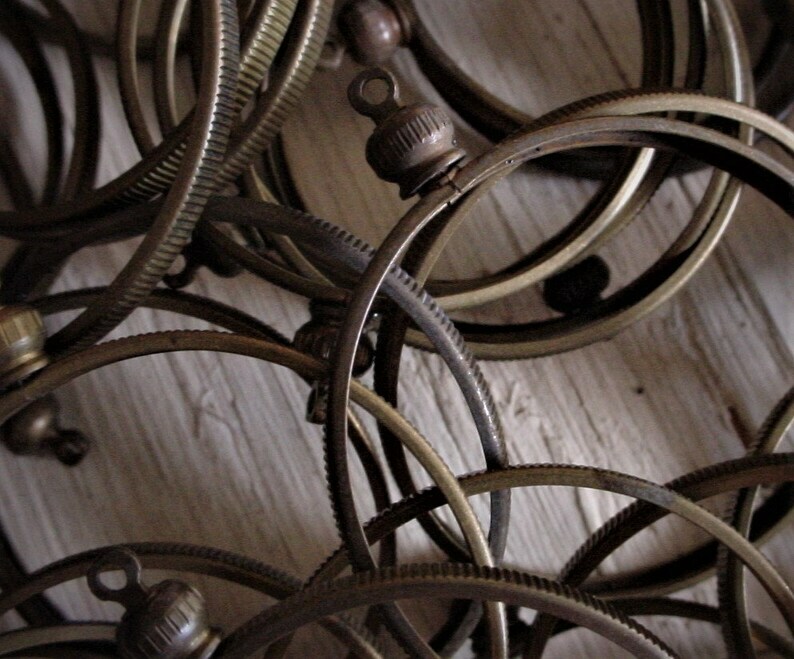 Featuring old solid brass bezels from about the 60's..Made In The USA. Screw tops and bezels are genuine brass. Raw/bare brass, no oils, polish...great for oxidizing. Rustic/distressed patina ranging from rustic brass to dark patina. Depending on the thickness of your image, you can also add some sort of backing to the image. Please note that these bezels are 2.2mm inside the rim. As is typical with naturally occuring patina, the patina will vary from piece to piece and may not be fully developed throughout the entire piece. The photos show typical range of the patina. Some may be a bit darker, some a bit lighter. Genuine vintage with natural occuring distress patina. Great product and excellent customer service from the seller! exactly what I ordered, quick shipping, thanks! Wonderful item and very nicely packaged!